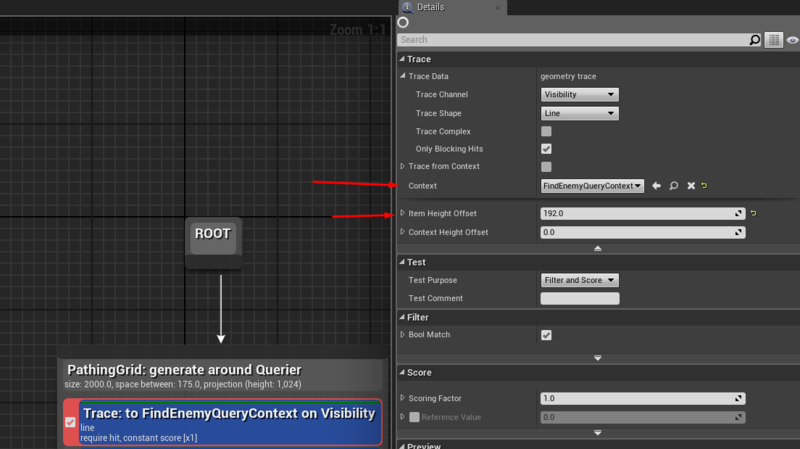 In this post we’re going to explore the basics of the Environment Query System (EQS) that resides in UE4. To fully understand this post you need prior knowledge of Behavior Trees and Blackboards since these concepts won’t be explained here. In case you don’t quite remember how these work, check out Epic’s official documentation as well as my previous post on how to create a basic patrol AI. 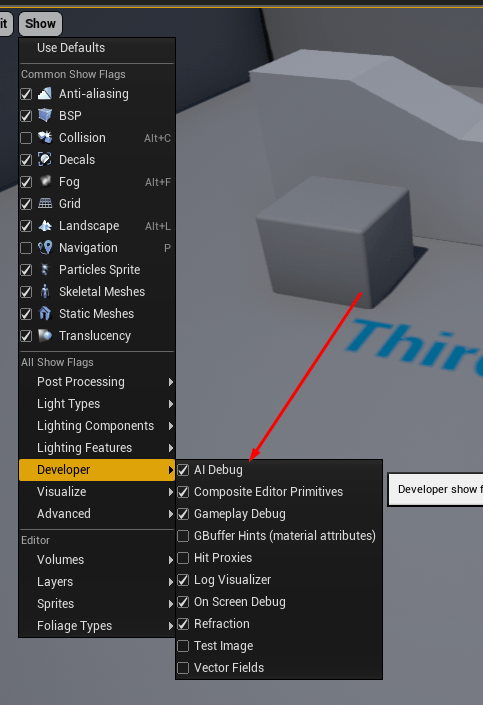 In this post, we’re going to create a clone of Epic’s Advanced AI stream tutorial but instead of using Blueprints, we’re going to code our logic in c++. Basically, we’re going to create an AI that is scared of our player and flees when it sees him. Before we go any further, take a look at the final result in the video below. Moreover, please note that this tutorial was written in 4.13.1 version so you may need to adjust your code based on the version of the engine you’re using. I’m going to explain in detail what EQS actually is, the moment we use it in our Behavior Tree. But first, let’s write some code. Create a Third Person C++ Template Project and create a C++ class that inherits the AIController, named MyAIController. Before you continue, create a NavMesh that covers the whole map. Depending on how you named your project, you may have to edit the last include. 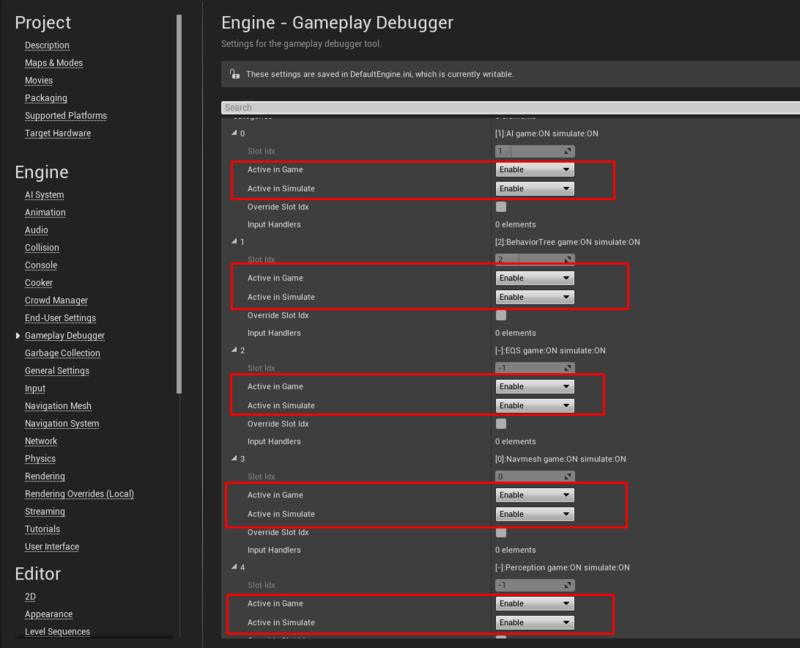 Make sure that your Enemy key has the Actor class as its Base Class as seen in the screenshot above. If you activated EQS by following the steps above, right click somewhere on the content browser and create an Environment Query (it’s located inside the Artificial Intelligence tab only after when you enable the system) named FindHidingSpot. Save it and close it. We won’t add any logic to it just yet because we haven’t explained what a Query actually is. Please bare with me for a few moments and everything will become clear! 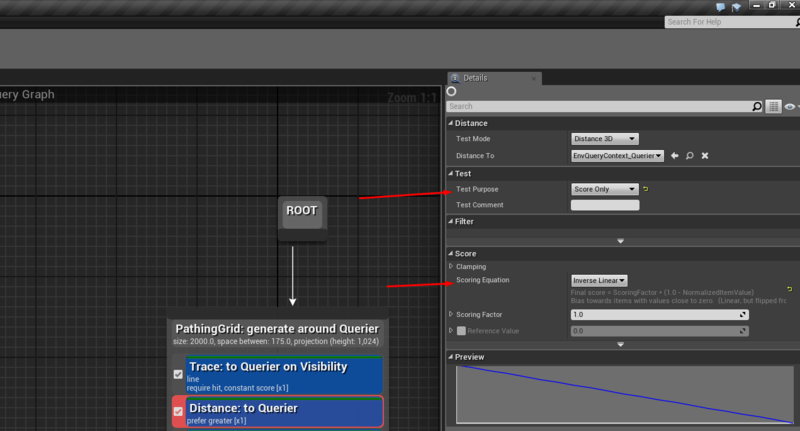 The Run EQS Query node is located inside the available tasks of the behavior tree. You will notice that of the node’s properties in the details panel are marked as red. I will explain what these are in the following section. What is the Environment Query System (EQS)? Most Generators are used to generate an area around a specified actor in our game. This area consists of points and their density is configurable through the corresponding editor. Moreover, the developer is able to configure the size of the area as well. Each time our AI runs an Environment Query, the system iterates through all the generated points in order to find a result. We’re going to specify what this result is going to be, for example, it can be another Actor, or a world space location, etc.. This is where Tests come in play. 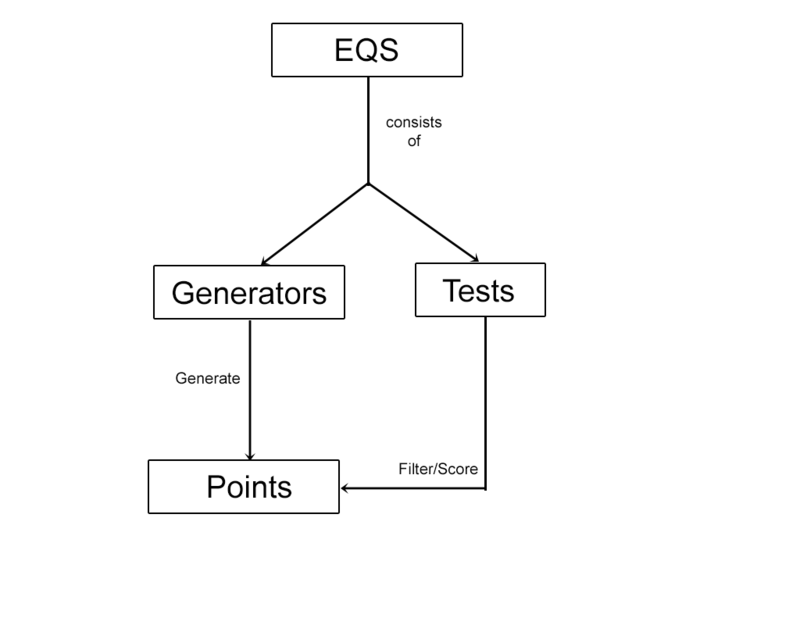 Think of Tests as functions that filter and/or (depending on your needs) score every generated point. Tests are attached to generators. Based on the attached Tests, each point has a score. The point that has the higher score is considered the best match for our result. If you take a second look at our Behavior Tree in the previous section you will notice that I have selected the HidingSpot as a Blackboard Key for our EQS. This means that in this case, the result of the FindHidingSpot Query is going to get stored on the HidingSpot key of our Blackboard. Moreover, I’ve assigned the FindHidingSpot as a Query template. The Query template in this case is the query that it’s going to execute when the Run EQS Query node fires. 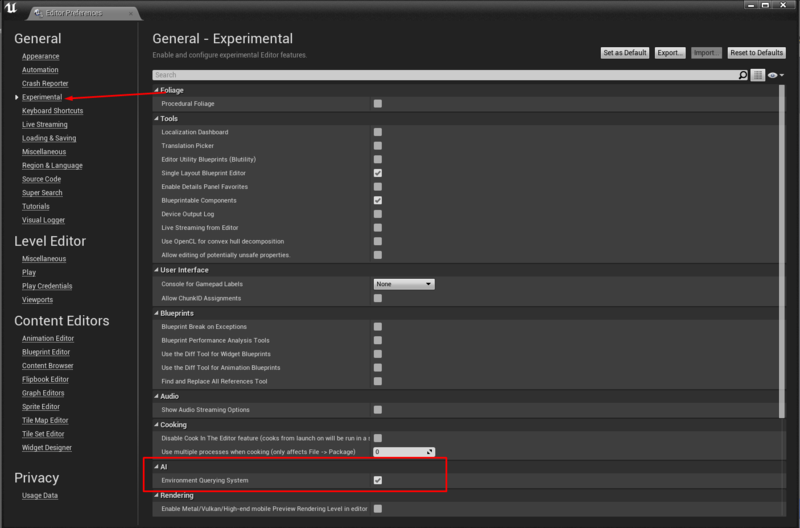 Last but not least, you will notice that in the RunMode in the details panel, I have selected the Single Best Item. This means that I want to store the point with the highest score only. With that said, let’s create type some logic inside our Query. Find a location where the enemy (in this case the player) can’t see you. This location needs to be as close as possible to the AI and at the same time, as far as possible from the enemy (in this case, the player). 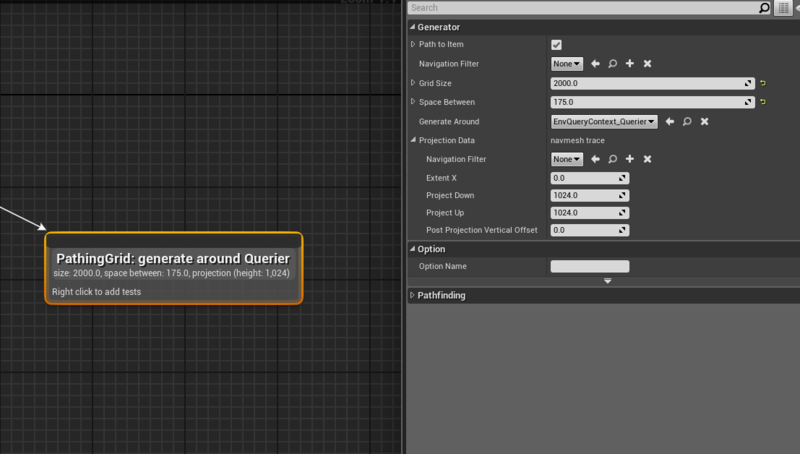 You will notice that the Editor mentions that the PathingGrid will be generated around Querier. In our case, this means that a of size 2000 units is going to get generated around our AI. Right Click on your Pathing Grid and add a Trace Test. This is a test that performs a trace among two actors. The starting Actor is the Querier and the other end of the trace is by default our Querier again. With that said, we need to change that in order to match our needs. Specifically, we need to trace from our AI to our Player. To do that, we need to create a new Context for that test. A Context in this case is a class that contains a function, responsible for providing results in our test. //This code works for our case but avoid that many casts and one-liners in cpp. This will return the seeing pawn (if any) to our context. Comple and save your code. When the Trace test is done, it will generate points that the player can’t see from his current position. The next step, is to select the point that is close enough to our AI and far enough from our player. By selecting Inverse Linear, the distance test will prefer the points that are close to our AI. Note that the Test Purpose is to Score the points only and not to filter them. Then, click the play button and test your functionality! Then, when playing, press the ” ‘ ” (apostrophe key) on your keyboard. You don’t to write it in the console like the previous versions. Hey man just read the tutorial, great stuff! 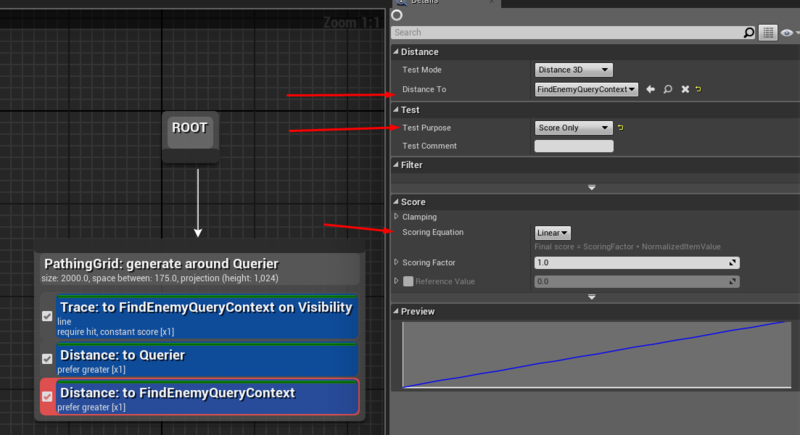 Thanks for listening to my suggestion 😉 just one thing: one of the screenshots that shows the distance test of the Environment Query is the same as the previous one. You’re right Alex! The post is now updated with the correct screenshot. Thanks for your EQS explanation. I usually need to go around for straight explanations for Unreal terms. However, I can´t understand where do you assign value to your behaviortree. 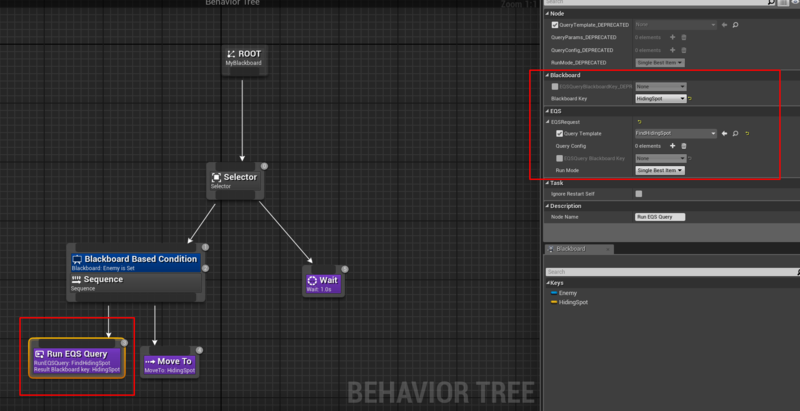 It has UPROPERTY(EditAnywhere), but unless you create blueprint based on the AIController class you created, I find no other way to assign your created behaviortree to the one you have in the AIController class. Could you please clarify that. Hi, just wanted to say this is the most useful post i’ve read on the perception and eqs from a c++ point.